If Saab is survive under the unlikely control of new owner, Koeniggsegg, this car needs to succeed. First impressions are mixed. On the plus side, the new car will be a huge improvement to drive compared to the old model, whose chassis dates back to the 1990s Vauxhall Vectra (which was stretched to accommodate the body of the larger Saab). On the minus side , the styling is proving controversial. A straw poll of observers suggested the exceptionally large and heavy-looking C-pillar, behind the rear passenger door, is a problem . "It seems to come from a car two sizes bigger " was a typical comment. 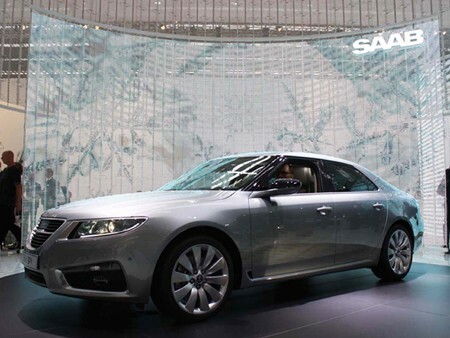 The front half of the car and the interior are clearly Saab, albeit considerably modernized. Time will tell if the new car can tempt new customers away from Audi, BMW and Mercedes, which it needs to do. As Bob Lutz, former product development boss at GM said, "There are not enough college professors with leather elbow patches to keep Saab going".